Hamro Samman is a five-year, USAID-supported program to counter trafficking-in-persons in Nepal through strengthened national and local government efforts to combat trafficking; improved civil society advocacy and engagement, and increased private sector partnerships to empower trafficking survivors and prevent trafficking of at-risk populations. 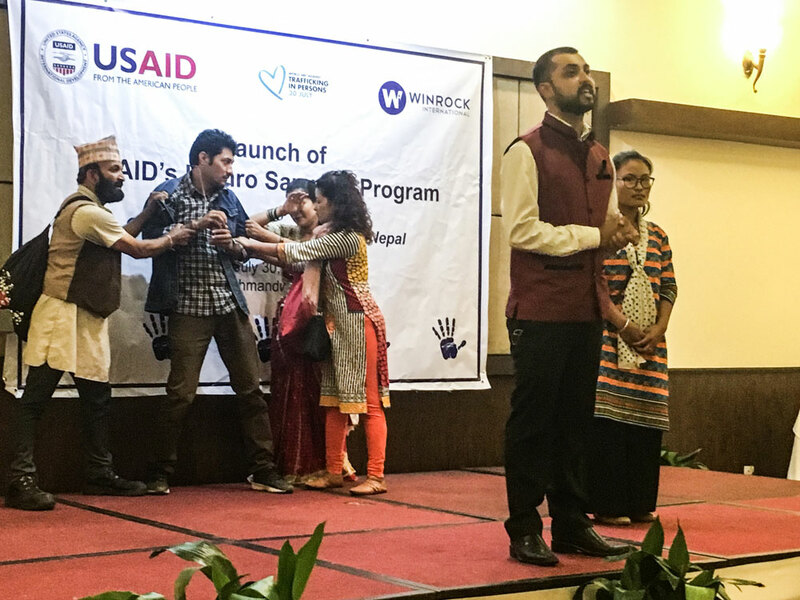 Winrock and USAID launched the USAID Hamro Samman program at an event in Kathmandu, Nepal, on July 30, World Day Against Trafficking in Persons. “We are honored and proud to be launching the Hamro Samman program which builds on Winrock International’s experience in the region and our long history in Nepal,” said Winrock’s Senior Vice President of Programs Joyjit Deb Roy at the event. The program builds on the longstanding partnership between the Government of Nepal and the U.S. Government to prevent human trafficking incidents, prosecute offenders and provide rehabilitation services to trafficking survivors. Trafficking survivors performed a drama and dance about preventing human trafficking and empowering survivors. The Acting USAID Nepal Mission Director, Mark Driver, spoke along with representatives of the Ministry of Women Children and Social Welfare, Ministry of Labor, Ministry of Home Affairs, Department of Education and three State Department TIP heroes: Kiran Bajracharya, Tek Narayan Kunwar and Charimaya Tamang.